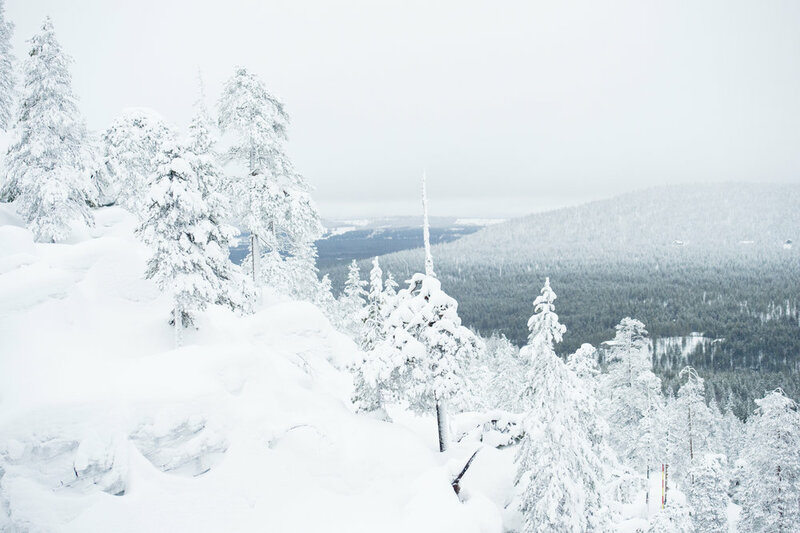 Finnish Lapland in winter is a huge, beautiful forested wilderness, high up inside the Arctic Circle. Snow falls heavily here and stays for the whole winter season, wrapping the landscape in a thick white blanket. There is a magical, unspoilt beauty to the place, with pure white contrasted against the blue skies often found overhead at these latitudes. Scenery such as this attracts visitors from all over the world, and not just for a visit to Santa at Christmas time! Cross-country or Nordic skiing, hiking, and even off-road cycling are all popular pursuits. The clean, crisp air and huge open skies add to the attraction of this place. 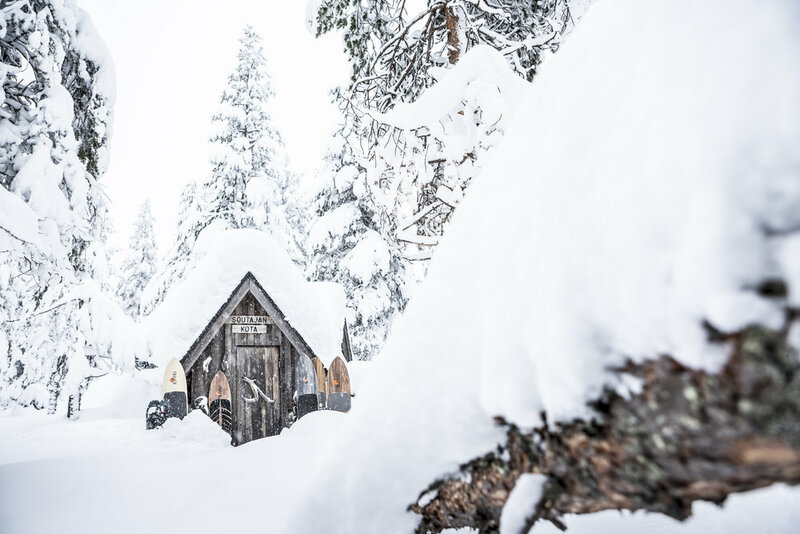 For many people, Lapland is also home. The Sami people have lived in this area for thousands for years. Some still practice traditional reindeers herding, looking after the huge herd of reindeer during the long winter months. The reindeer are kept for their warm pelt and are also as an important source of food. The Sami are the only indigenous people of the EU, and even have their own parliament for the Sami Homeland. Given the huge herds, you can often see reindeer here in Lapland. They are perfectly adapted to the environment, with thick coats to keep out the cold, and large hooves for walking across the snow. Reindeer are the only species of deer in which the females as well as the makes grow antlers. The antlers of a male reindeer actually fall off at the end of the summer mating season, and regrow in spring every year! So if you see a reindeer with antlers in the middle of winter (like in the picture below) it will be a female reindeer. Traditional wooden cabins dot the landscape here - cosy little places to stay, but inaccessible by car. Instead you would need to hike or ski up to them! Skiing is a very popular pastime here. There is an opportunity for some downhill skiing (as seen in the picture below) but lots of people choose to try Nordic skiing here. This involves very long, thin skis, and two poles, and requires uphill skiing too! It’s incredibly tiring, but also a lot of fun! In the summer the sun does not set in Lapland at all from May until August - truly the land of the midnight sun! In the depths of winter, the sun does not properly rise either, but the weak winter sun can create some spectacular light and offers wonderful opportunities for some incredible landscape photography. The darkness of the winter nights also allows some incredible views of the Northern Lights. Finnish Lapland is one of the best places in the world to see the spectacular natural light show. Photo credit: Please hover on individual image for photographer.